My eyes used to be bigger than my stomach but honestly I can’t eat a lot most of the time so I would not enjoy doing it. I may be able to participate in a watermelon eating contest but that’s about it really . 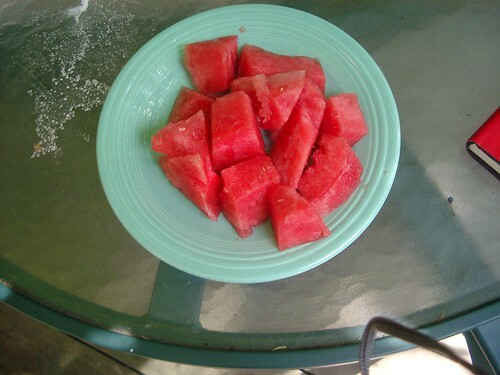 Watermelon is about the only food that I really love to eat right now and even then I could probably only eat one whole one before absolutely not having any more room in my stomach . Would you ever participate in a food eating contest? What kind? How much do you think you could eat? I cannot eat much. Don’t know why. Just don’t like it, I guess. However, if you really like watermelon, you should go to Hope, Arkansas, in August, when they have their annual watermelon festival. Mmm!